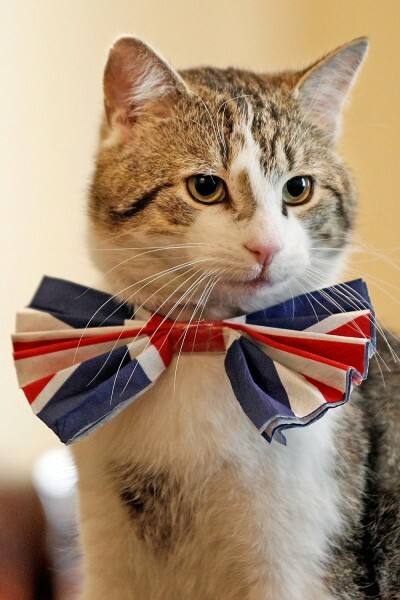 Larry, the Downing Street cat, in a Union flag bow-tie in the Cabinet Room at number 10 Downing Street on Thursday, April 28, in London. Prince William will marry his fiancee Catherine Middleton at Westminster Abbey tomorrow. 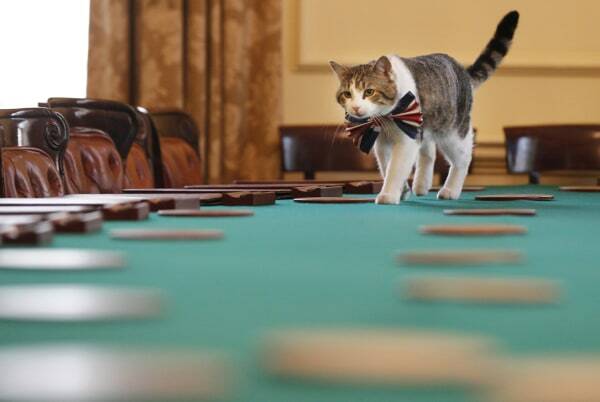 Larry, the Downing Street cat, in the Cabinet Room at number 10 Downing Street on Thursday. 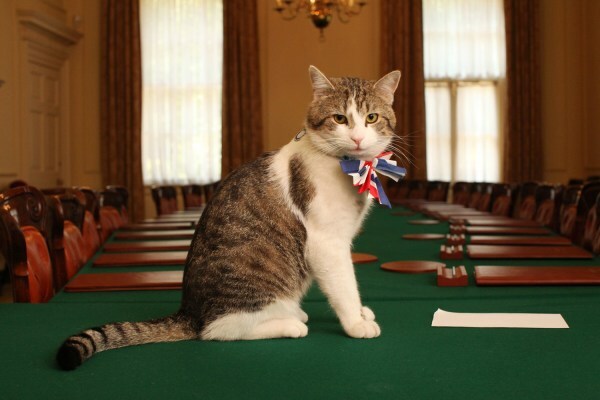 Larry, the Downing Street cat, in the Royal Wedding spirit in the Cabinet Room at number 10 Downing Street on Thursday. More royal wedding coverage on our blog, The Windsor Knot. More royal photos in PhotoBlog. Preparations for the royal wedding. The royal guest list - who's coming to the wedding? History of British royal weddings.